The Innovative Skincare (IS) team have created a range of products using the very latest in advanced research technology and pharmaceutical grade botanicals which are guaranteed to deliver rapid, long-term solutions – whatever your skincare needs. Directed by CEO Bryan Johns and Clinical Director Dr. Charlene DeHaven, IS is a revolutionary cosmeceutical company pioneering a new strategy in the skincare industry. It is dedicated to developing clinically validated skincare products that improve the physical and emotional well-being of its customers. IS Clinical offer products that cleanse, hydrate, protect and treat the skin. 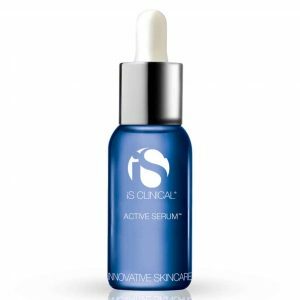 IS Clinical Active Serum really lives up to its title; you can feel it working the instant it touches your skin. A ‘tingling’ sensation can be felt as its extraordinary formula gets to work evening out pigmented areas, reducing fine lines and wrinkles, and targeting acneic areas. 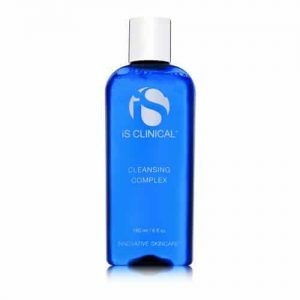 IS Clinical Cleansing Complex is gentle enough for the most sensitive of skins, yet gives a thorough cleanse to the skin; once or twice daily, massage a small amount into damp skin before rinsing off with warm water. A unique synergy of bio nutrients, anti-oxidants and resurfacing ingredients deep clean the skin without stripping the skins natural lipid layer. 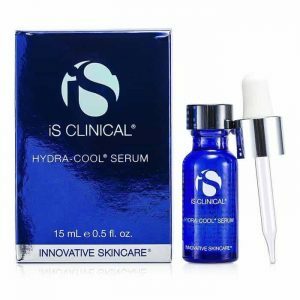 IS Clinical Hydra-Cool Anti-Ageing Serum is your skins saviour when it is in crisis; quickly restoring calm and comfort. Surface layers are re-hydrated thanks to Hyaluronic Acid and lower layers are supported with anti-oxidant protection. This light weight serum is marvellous on sun burned skin, and also for targeting post-procedure redness. IS Clinical Moisturising Complex is a must-have for those living in the city or exposed to harsh conditions. Quickly absorbed, and non-greasy, this skincare hero hydrates, smoothes, and softens whilst providing powerful anti-oxidant protection against free radicals (a major cause of skin aging).Use once or twice daily on cleansed, dry skin. IS Clinical Sheald Recovery Balm is just what weak, irritated, sensitive skin cries out for. The thick, moisture rich balm is highly concentrated, so we recommend a patch test for new users of this product. Collagen production is stimulated, making this fantastic for preventing scar tissue forming post-procedure. IS Clinical Super Serum Advance Plus really is the ‘fairy godmother’ for those suffering from uneven skin tone, texture, and scarring. The 15%concentration of L-Ascorbic acid and Copper Tri-peptide growth factors deliver fast, targeted results; skin is brighter, plumper and less pigmented. Surface scars are minimised with regular use.